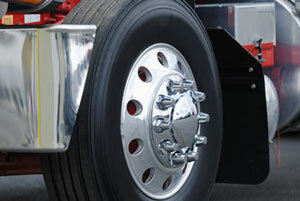 The brake system repairs needed for fleet maintenance is a costly and redundant process. By using our Diamond Technology for your fleet maintenance you will radically change the way your commercial fleet vehicle brake systems are maintained from here on out. Diamond Technology is a unique patent pending process that dramatically improves the life and performance of brake drums and rotors, and, in turn, dramatically lowers the fleet maintenance costs associated with brake system upkeep for large commercial fleet vehicles. Stress points occur during the manufacturing, machining and heat treating of brake parts, and our Diamond Technology process actually completes the metallurgical changes and heat treating process, while reducing the stress and redirecting the energy path through the part. Unique elements are applied to the cast iron surfaces via the brake components through a process via extreme force that actually coalesces to the metal. Diamond Technology does not involve coating or plating, so it won’t wear away. It merges with the metal to strengthen the components against heat, corrosion, and seizing. The cost benefits this will have for your fleet maintenance will be felt for years because we offer a 100,000 mile warranty against failure due to wear, distortion, or cracking – all of the most common, and most costly, fleet maintenance problems. Power Brake LLC utilizes the latest technology in brake component stress relieving. We complete the heat treating process through a series of extreme temperature changes through the use of nitrogen using various temperatures that are pre-determined based on the final outcome desired and related to the types of materials that are being processed. The results of this process are that components will not crack or develop hot spots.